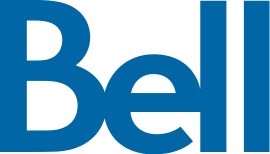 Bell Canada works with municipal governments to provide the dedicated communications network required to support millions of customers across eastern Canada with fast, responsive 911 and emergency services. Over time, more data from more sources made it difficult to ensure the accuracy of the information provided to first responders. They needed a simpler and more robust reporting system that could help manage growing amounts of critical data. Bell Canada chose JReport for its simple deployment, faster time to value, and robust reporting capabilities.